Dr. Hernandez attended both Rio Hondo and Mt. San Antonio Community Colleges before going on to get his B.S. degree in Biology from Cal State Fullerton. He received a scholarship to study Optometry at Indiana University, which is also where he met his wife Diane. ​After returning home, Dr. Ed and his wife setup their first practice in his hometown of La Puente. Dr. Ed Hernandez is a retired California State Senator. Senator Hernandez served as Chair for the Senate Committee on Health where he played a key role in setting health policy for the state. He has received the Optometrist of the Year honor from the Rio Hondo Optometric Society, the Young Optometrist of the Year award from the California Optometric Association, and was named Key Person of the Year by CAL-OPAC. Dr. Hernandez is the Past President of the California Optometric Association and the Past President of the State Board of Optometry. Dr. Hernandez is pharmaceutical-TPA certified to diagnose, treat and prescribe for ocular disease, and provides consultations regarding laser vision correction. Dr. Diane Hernandez was raised in Indianapolis, Indiana. She received a Bachelor of Science degree from Indiana University, and a Doctor of Optometry degree from Indiana University School of Optometry. 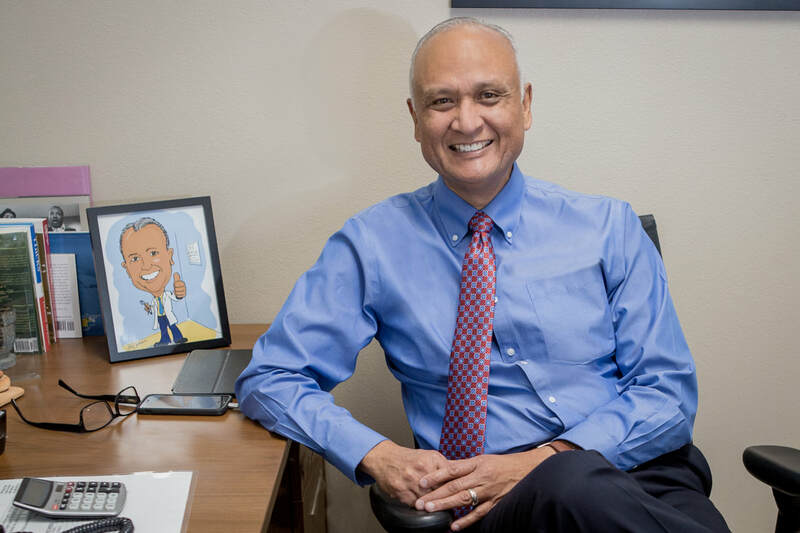 Dr. Hernandez is a member of the California Optometric Association, the American Optometric Association, and is the Past President of the Duarte Kiwanis service club. Dr. Alma Fragoso-Corona completed her undergraduate studies at the University of California, Riverside and earned her Doctor of Optometry degree from the Southern California College of Optometry. Dr. Fragoso-Corona is pharmaceutical-TPA certified to diagnose, treat and prescribe for ocular disease, and provides consultations regarding laser vision correction. Dr. Fragoso-Corona is fluent in Spanish which enhances her effectiveness in treating her patients. Dr. Ochoa joined the team at Dr. Hernandez Optometry in 2017. She grew up in the Bay Area and moved to Southern California following optometry school. Dr. Ochoa received her Bachelor of Science in Biology from the University of California, Santa Cruz, and her Doctor of Optometry degree from the UC Berkeley, School of Optometry. Her externships include rotations in hospital and community clinic settings, including the Palo Alto VA Hospital in Livermore where she received extensive clinical training in geriatric care, glaucoma, macular degeneration and diabetic eye disease management; the Hayward Wellness Center & the Marin Community Clinic where she focused on primary care and pediatrics, and the UC Berkeley University Eye Center where she received further training in primary care, ocular disease, dry eye disease, vision therapy and contact lens fittings. Lourdes M. Silva Said, O.D. Dr. Lourdes Silva-Said has worked with Dr. Hernandez since 2017. She completed her undergraduate at UC-Irvine with a degree in Biology and her doctoral degree in Optometry from Western University of Health and Sciences where she was class vice president as well as vice president and co-founder of the local AAO Student chapter. Dr. Silva-Said has training in ocular disease, glaucoma, and binocular vision. She has practiced in the Eastern Oklahoma VA Health Care System as well as several private practices. Born in Mexico City, Dr. Silva-Said is fluent in spanish. She believes in building and valuing patients trust. She has a commitment to ensure patient care goes beyond treatment and to impart knowledge of preventive care. In her spare time, Dr. Silva enjoys learning new languages, hiking, and volunteering with different organizations.